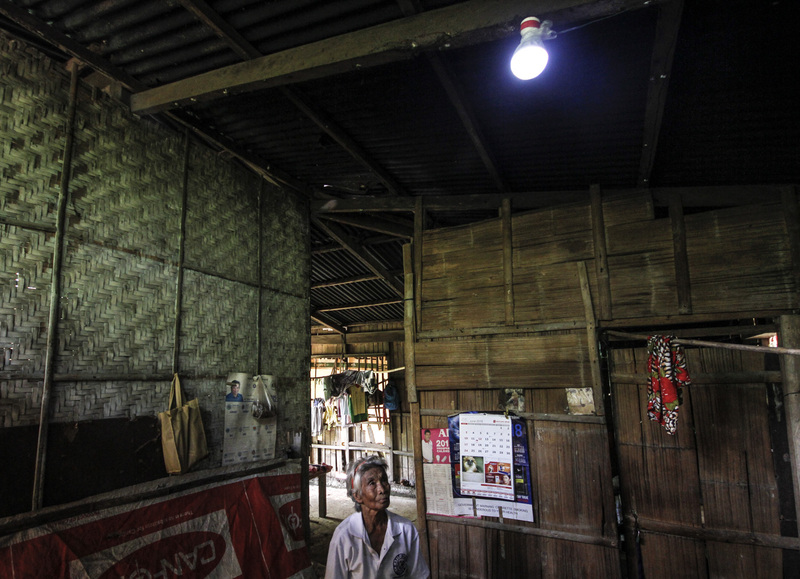 Leonora Andaleon looks at the light bulb in her house at Sitio Dalid, Magallanes, Cavite. Andaleon, 72, could not believe electricity would ever reach her remote village. 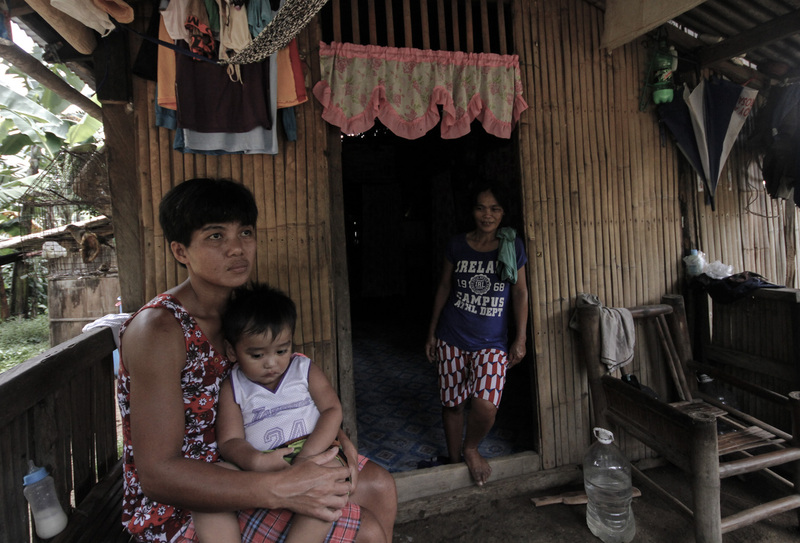 Leonora Andaleon could not believe that she would ever see the day when electricity would reach her tiny village. At 72-years old, the coconut farmer lives alone in her small house perched in the far-flung farmlands of Magallanes, Cavite where the only light source in the evening is kerosene gas lamps. “ With god’s grace, we were finally reached by electricity…my house seems more joyful now with light because I live alone,” she said. Leonora Andaleon beams as she recounts how electricity made her house more joyful. Andaleon, a widow, lives alone. 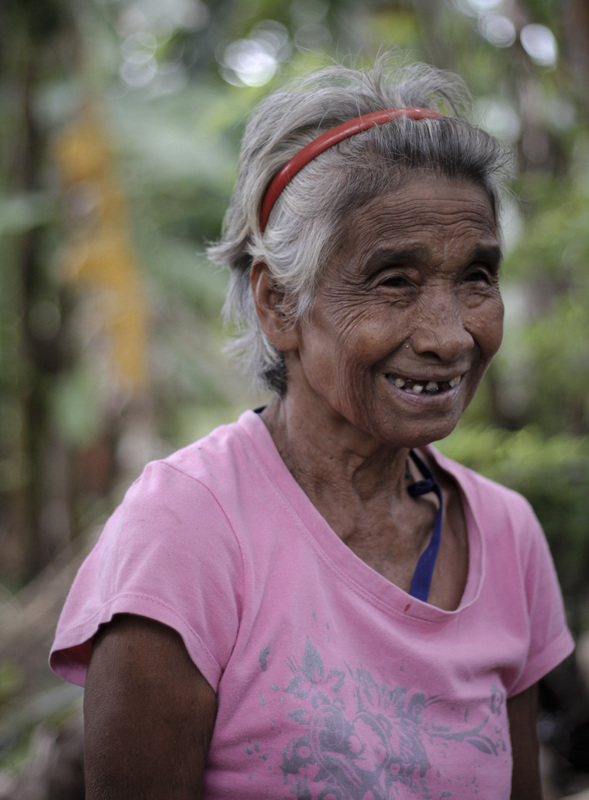 Andaleon lives in Sitio Dalid, a village of 15 households where the main source of income is agriculture. Sitio Dalid, due to its remoteness and the low income of its residents, is not economically attractive to private power distribution companies. 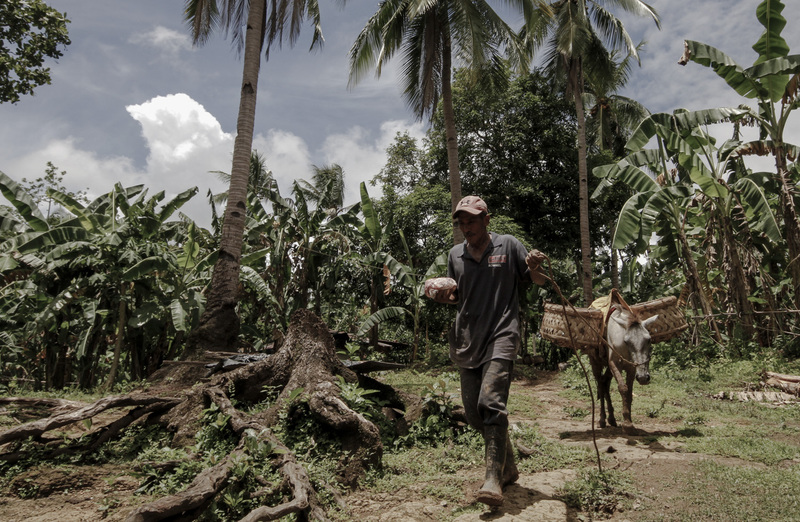 Residents of Sitio Dalid rely on agriculture for their livelihood. “These places are not high on the priority list of electrification projects because it’s very far and there are only a few households [in the village]. But if we want energy access for all, they should still be given the same services,” Riedo Panaligan, executive director of the Center for Renewable Energy and Sustainable Technology (CREST), an organization that assists government units and private establishments to promote renewable energy programs. CREST, along with a private donor, installed solar panels on each of the households in Sitio Dalid last June. Owing to the organization’s thrust to bring solar power to where it is most needed and the village’s urgent need for electricity, Panaligan deemed that Sitio Dalid was a perfect candidate for their project. In the past, residents had repeatedly requested for private distribution companies to electrify their community but due to several factors, Sitio Dalid remained in the dark while neighboring towns and villages were already experiencing modern comforts made possible by electricity. “The expenses to build electric posts are too high that is why corporations don’t want to enter our village, we were told. Our village is sparsely populated, the distance that an electric cable would run without houses is too far. )” Danilo Ilaw, chief of the barangay watchmen, said. Many of his neighbors, he said, have migrated to nearby towns that have electricity. Women residents of Sitio Dalid congregate at the small store of Benilda Agrimanod (R), the only store that sells goods to the entire neighborhood. With the installation and purchase of the solar panels were made possible through a donation, the residents of Sitio Dalid will be paying P250 per month for one year for the maintenance of their systems, according to CREST. For comparison, each household used to spend between P500 to 750 per month to buy kerosene for their lamps — which means 100 to 200% savings for each household, a significant amount in an impoverished rural area. CREST will also be conducting workshops on how to do electrical maintenance work for the residents to make the electricity systems sustainable, Panaligan said. In a report released by the Department of Energy (DOE) last year, there are at least 2.1 million households in the country that are yet to be reached by electricity. Many of these households are isolated and hard to reach. Under the Electric Power Industry Reform Act of 2001 (EPIRA), the National Power Corporation, a privatized government-owned corporation, is mandated to carry out missionary electrification — a process of building small power plants to connect off-grid houses to electricity. In April, DOE secretary Alfredo Cusi announced that government is aiming for 100% electrification by 2019, three years ahead of its original target, by easing the entry of private corporations into the market. “We need to fast-track it as it is using emerging technologies targeting far-flung barangays which have had no power. The DOE is fully committed in pursuing his directive,“ Cusin said in a meeting with the Energy Regulatory Commission. With the exception of one hydropower plant in Catanduanes, all of its 274 power plants are run on diesel, according to the NPC’s Small Utilities Power Group (SPUG). While the SPUG is currently testing a hybrid power plant of solar power and diesel in a village in southern Leyte, it remains to be seen if the government is intent on exploring the renewable energy potential of the country — particularly solar power, which still comprises a small amount in the country’s energy mix. Tadzio Mueller, energy democracy expert of the Berlin-based Rosa Luxemburg Foundation, believes that renewable energy — particularly solar micro grids — offers a unique opportunity for marginalized communities to power their lives independently by having full control of the production and utilization of electricity. “Renewable energy enables things like localization and small-scale production…because electricity isn’t just technical, it’s about society and who has that power,“ Mueller said. When a community is not beholden to a corporation for its electricity needs, they can be empowered and autonomous, Mueller added. 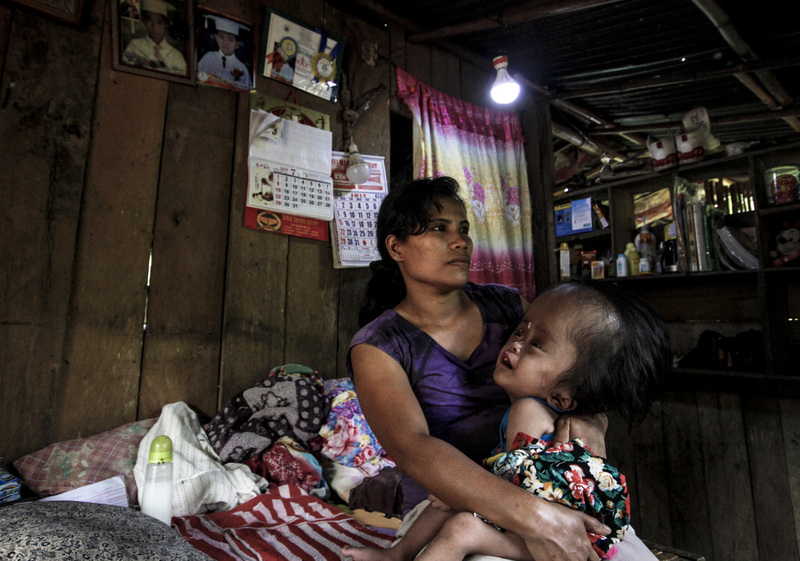 For Germina Vidallo, another resident of Sitio Palid, looking after her three-year old daughter Grace Anne, who has hydrocephalus, has become easier. She no longer fears that her house might catch fire if her other children accidentally knock over their gas lamp. Geronima Vidallo carries Grace Anne, her three-year old daughter who has hydrocephalus. Vidallo said that the electricity has been a great help to her because she is able to take care of her daughter better in the evening. She has also been able to save P750 from buying kerosene for their gas lamps. The savings, she said, goes to the purchase of medicine for Grace Anne. “It’s a big help to us. I can now watch over her better in the evening, especially when she is sick. And she doesn’t like to sleep in the dark,“ Vidallo said. A version of this article was published at CNN Philippines on July 31, 2018. This story was produced under the 2018 EJN Asia-Pacific Special Awards Story Grants with the support of Sweden/Sida.